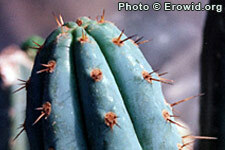 Most psychoactive cacti contain mescaline as their primary active chemical. The best known of these are San Pedro, Peruvian Torch, and Peyote. Trout's Notes: Pachanoi or Pachanot?